With our website module you can create your own fully responsive, mobile friendly website tailored to your requirements. 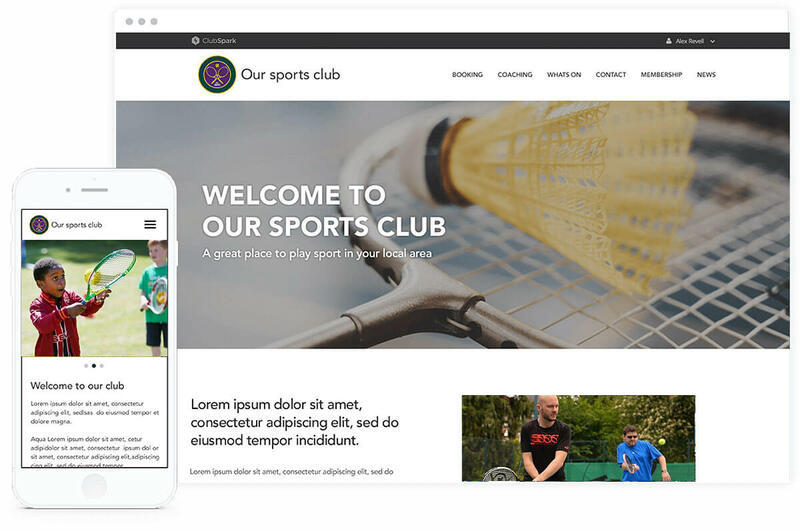 Build websites for your club, venue, coaching business or local area to promote your events and activities. Add custom pages, news articles, images etc and edit your own content through the easy-to-use Content Management System. 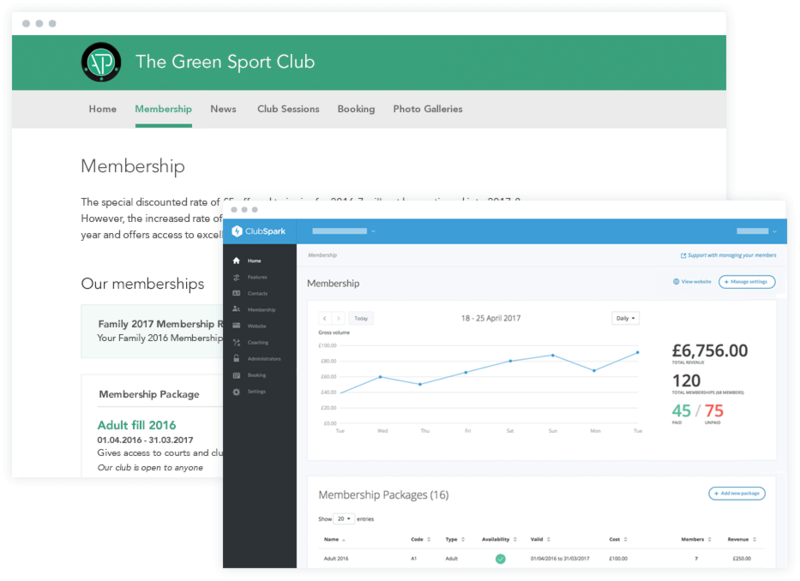 Our membership management module is designed to improve membership engagement by making it easier for the club and for members to pay, renew and keep in touch. Take online payments, manage direct debits and monitor your revenue streams with ease. Take the headache out of managing bookings. Give staff, coaches, members and the general public access to book and pay for courts, classes or other resources online. Set the way you want payments to be taken, whether it’s immediate or added onto a member’s account. Your customers can make bookings and payments for a venue anytime, anywhere with our real-time booking app. Set unique booking and price rules to suit your venue including recurring or block bookings. 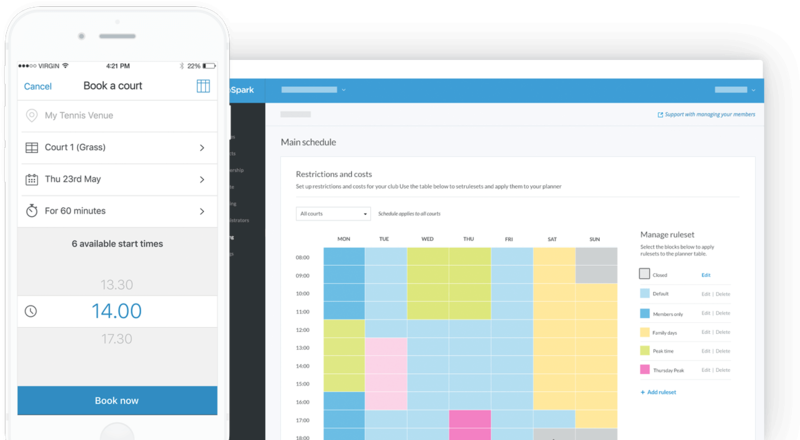 ClubSpark lets you manage coaching lessons and courses online. Courses can be promoted via your website or national campaign websites. 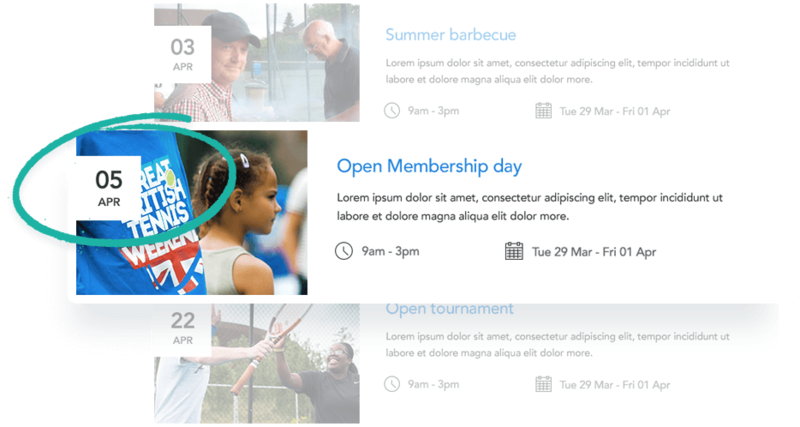 Creating round-robin, knockout and matchplay competitions couldn’t be easier. Just add or import your players, publish and go! Send out group communications to keep competitors informed. We're helping venues manage access and lighting remotely through advanced integrations with access control and lighting systems. Enable players to book online or via the app and grant instant access to your facilities via their membership fob or a unique pin number for their booking. Players can use digital kiosks to check-in on arrival or to book their next session. Use TV displays to keep visitors informed of booking schedules and upcoming events. 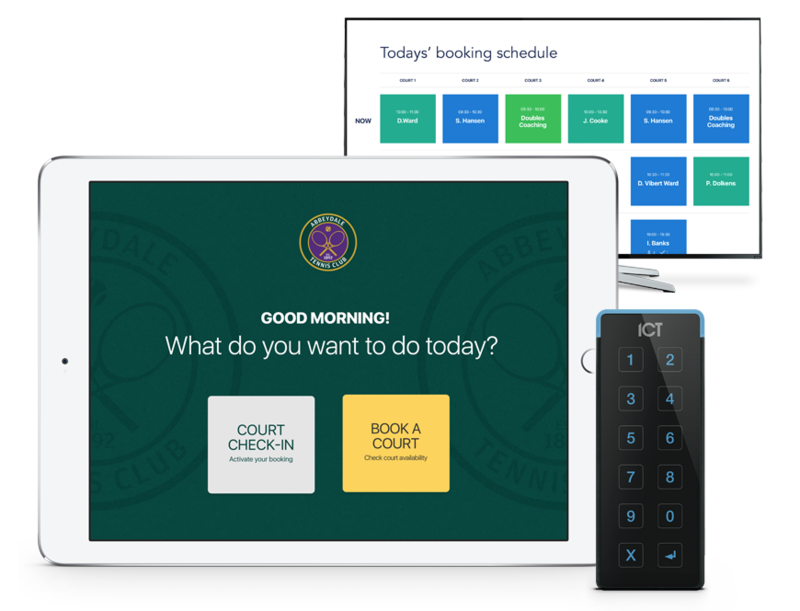 Events at your club or venue, such as open days, socials and competitions, can be quickly set up online allowing you to take bookings in advance. Manage attendance on the day and keep in contact with participants before and after the event through our mobile and tablet apps. 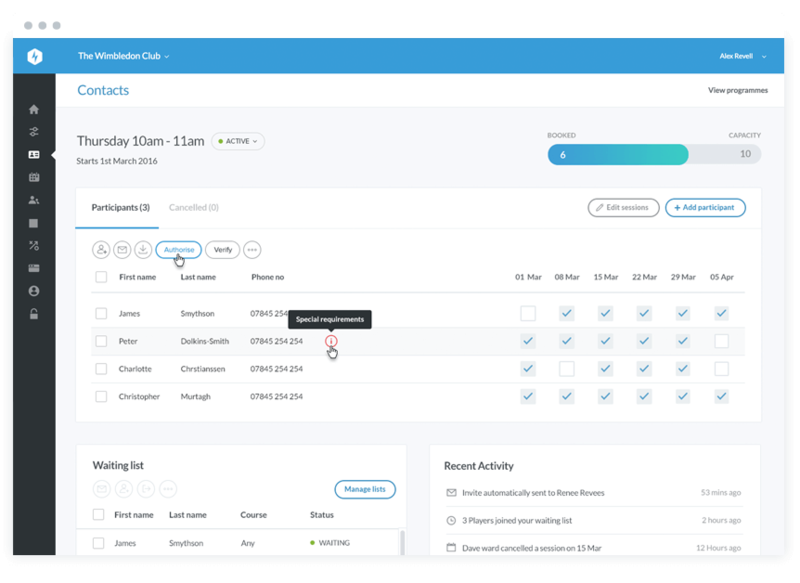 ClubSpark CRM keeps all your contacts in one place. Keep track of all of their activities and stay in touch with just a few clicks.